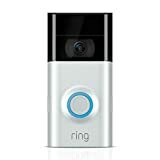 Doorbell Cameras That Work With Apple HomeKit: What Are My Options? A security system needs to be reliable, and one of the ways it can be even better is through the use of a doorbell camera. That way the homeowner can see whether there’s someone at the door — and they can even talk to them through two-way communication options. There are many cameras that also offer the option to record video or capture images, and that means the homeowner will be able to see who was there even after they’re gone. In some cases, that can be very important to show the authorities, so someone who was trying to break in can be caught. Many homeowners today have Apple HomeKit and Apple home security, and they see the value of it when it comes to expanding it and using other devices with it. That’s a great way to automate an entire home and keep advancing the technology that they’re using. With that in mind, it’s important for the homeowner to make sure they’re choosing the right doorbell camera for their needs. Then they don’t have to worry about whether the camera they buy will work with HomeKit or whether they’ll have to try to change to another type of system so they can keep their home automated. One of the reasons that people choose Apple HomeKit is that it offers a great automation experience that every homeowner can appreciate. It can handle lights, door locks, security issues, and more — and with voice control it’s easier for homeowners to get things done even when they’re busy. Apple offers a lot of gadgets and devices that can be used with HomeKit, so homeowners can have a good time setting things up and using the system the way it’s intended. HomeKit does more than a lot of homeowners realize, and once they get it working they see that there are all kinds of things they can do with it. One of those things is hook up a doorbell camera, which they can then use to raise their level of security and protection. The peace of mind that comes with that is highly important, as well, and it’s not always easy for homeowners to get that much peace of mind with other types of systems. 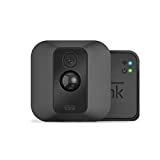 With security system options that can be used with the Apple HomeKit, more homeowners can use this home automation hub and keep using it when they want to build on the security of their home. They won’t have to pick a different system or change things, because there are a number of doorbell cameras that work with HomeKit. Apple has an entire list of compatible devices that homeowners can choose from. With all of those benefits plus an Apple HomeKit for automation and a doorbell camera that’s also compatible, a homeowner can be very happy with everything they have from the company they’ve selected. Shopping around to make sure they get the right company is important, and once they find one it’s a good idea to stay with it so they can continue to get a good level of service.